This special podcast is brought to you by Brenthurst Wealth Management. With me on the line is Esmerie Pienaar, a certified financial planner at Brenthurst Wealth. Esmerie, now amid the current slump in the South African economy, many South Africans will be looking to move their wealth offshore. On what basis can a SA resident transfer funds? Good day Gareth, thanks for taking the time for our interview. Obviously, there’s a few bases upon which you can take out funds. Individual SA residents are allowed two types of allowances that they can effectively take their funds out on. You have your single discretionary allowance that is limited to R1m per calendar year. That is available to all SA residents who are 18 years and older, and in possession of a valid green bar-coded SA ID document or a Smart ID document card. This dispensation may be used for any legitimate purposes, at the discretion of the individual without any documentary evidence. Meaning you don’t have to apply for approval through the SARS, effectively. Then you also have a R10m allowance per calendar year, of which you need SARS approval through a tax clearance for that R10m. You also have, for example, your travel allowances, your study allowances. In terms of travel allowances, which form part of your single discretionary allowance, you also have the option for people who are under the age of 18. They will have a travel allowance not exceeding R200 000 per calendar year. But when you use your travel allowance, you have to provide documentation showing that you are, in fact, travelling and that travel allowance may not be availed for more than 60 days prior to your departure. So, those are effectively, the ways in which you can transfer. Then you also have your immigration allowance, but that involves a whole set of rules and procedures. Have you found that that there’s been an uptick from clients who are looking to utilise some of these allowances? Yes, we have a lot of clients because we’re in the investment industry. We obviously, have a lot of clients predominantly taking funds out for investment purposes but I also deal with clients that are moving abroad temporarily. They use their allowance to move funds to their personal bank accounts obviously for spending where they live in the foreign country. But, yes, they mostly do it for investment purposes. Then, there a few clients on our side who are moving abroad or going on holiday. But there’s been quite an uptick for us because there’s also this fear of government clamping down on allowances or cutting the allowances quite significantly, which can happen at any point in time. So, I think this is also a key reason for why we are having an uptick in funds being moved offshore. Now, the single discretionary allowance is an interesting one. Can you expand a little bit more on what that entails exactly? Yes, as I said previously, your single discretionary allowance of R1m per calendar year is an amount that you can take out without prior approval to SARS. Within that, you can then effectively use that for any purpose, be it for travel allowance, be it for investment purposes, be it for your study allowance. This is because these spending categories all fall within that single discretionary allowance, which I think a lot of times clients forget. They think that your single discretionary is a separate thing to your travel allowance, which is separate to your study allowance. That all forms part of your single discretionary allowance. So, if you don’t take note or keep track of moving funds on a travel allowance and now you want to move R1m for investment purposes, for example, you will effectively, go over your R1m allowance. That could cause a few problems, so that’s basically the single discretionary allowance – your R1m that you can take, without getting prior approval through SARS, and you can move those funds for investment purposes, travel allowances, study allowances, payment for weddings, donations etc. Effectively, with these allowances, you are also limited by how much you can move in a single calendar year, correct? Yes so, these allowances are all per calendar year. Initially, the set allowances were for your lifestyle and as we moved on they changed that to per calendar year — it’s from January to December and not per tax calendar year. If you take out, for example, your full allowed R11m in December, come next year January, you again have your R11m total allowance for the next calendar year. What about the tax clearance application procedure? What does that involve? Yes, tax clearance, which now comes part of your R10m allowance where you have to get approval to move more than your R1m allowance within your R10m limit. That’s quite a tricky procedure. SARS has become so strict on who they give approval to and the procedure has become a bit of a headache with SARS because obviously they’re trying — or we feel that they’re trying — everything in their power to limit the funds being moved offshore. You then have your allowances but as far as they can limit it, according to their regulations, we feel that is what is currently happening. With tax clearance applications in the past, which were quite an easy procedure, you just had to do your relevant documents, provide the relevant supporting documents and if all your tax affairs were in order, SARS would give you approval. But at the moment, it’s very difficult. They ask for a lot of documents and the timeframe, from submitting to getting approval, extends every month and every case is a different scenario. It’s literally case-by-case. At the moment when you do a tax clearance application, you have to get certain documents in order. SARS wants, firstly, to see that you do in fact have the funds in your personal capacity that you’re applying for. So, you can’t apply for your full R10m if you, for example, only have R5m capacity to use and to take offshore so, you can’t. Just the fact that you have your R10m allowance and apply for a tax clearance, you have to provide proof of the funds in your personal name. Secondly, and actually the big important factor, is that they want proof of the source of funds. You must show documentary proof of where these funds came from. A lot of the time it might be funds received from a Trust or it’s dividends declared from your company, or its profits taken from the company, or it’s a bonus that you received. Whatever the case is, and where the funds came from, it might be a local investment in your personal capacity that you’ll redeem for the foreign investment, for example, and then you’ll use those documents. And each case has a different set of documents that they require. For example, if it’s a loan they need X, Y, and Z documents. We can go through all of them but it’s such a big list and it depends on a case-by-case basis such as: where did you get your funds from that you’re intending to transfer out on this allowance. They also want your last three years assets and liability statements. It’s also the type of procedure that SARS use to update their records to make sure that a taxpayer wanting to move funds offshore has everything in order on SARS’ side, on that client profile. If you have any funds outstanding on SARS’ side — or any audits running on a previous tax return — they will decline your application until you’ve resolved those issues and then you can reapply. So, yes, it’s quite a tedious process, but if you have everything in order and you know your SARS’ profile is effectively in order and everything is paid, you don’t have any outstanding audits or any problems on SARS’ side, and you provide all the correct and relevant documentation the first time around, then there is no reason why they would not approve your application. What are the penalties if you go over your allowances without the relevant SARS’ approval? Effectively, you are allowed to utilize funds over the allowances but you will then have to do further applications and give quite an extensive explanation as to why you want to go over your allowances. But going back to the question, if you don’t have the relevant allowances to go over your set total of R11m allowance that you have per calendar year — and you have gone over, even its just by R50 000, even a small amount — the SA Reserve Bank will pick up on that on their system because that’s where it’s actually collated. They will see your profile, so, the fact that you use different authorised dealers to move funds, each individual authorized dealer might not know of any other transfers that you’ve done. You now take out your full allowance with this one authorized dealer but during the beginning of the year, you might have moved more funds through another authorized dealer and that is all collated at the Reserve Bank. They will then pick up that you’ve gone over your allowances. You’ll be obliged to then bring back the amount that you’ve gone over your allowance and you can be penalized up to 40% on the amount that you’ve gone over your allowance. So, if you’ve gone over by R1m, 40% of that you’ll have to pay to SARS as a penalty for going over your allowances. We always say, ‘make 100% sure,’ because we, at Brenthurst, who are dealing with transfers for clients – we’ll only know of the transfers that you’re doing through us. If you don’t declare to us saying, ‘please note, I have travelled I’ve used X-amount on my credit card,’ or, ‘I’ve used another authorized dealer and we moved X-amount.’ So that we can make sure that you don’t go over your allowance because you don’t want to go through that problem with the Reserve Bank, where they say, ‘bring back the funds and you pay a penalty, of up to 40% on that amount.’ You don’t want to go through that. Is SARB and SARS quite effective at spotting if you’ve gone over that amount? How quickly can they identify that? Yes, you see the thing is that in the past, it wasn’t quickly picked up. That would have been picked up if they did an audit on your profile or if something was flagged. But I think recently, I’ve noticed that with the bank, it’s as if everybody linked in a way because I have had transactions where we wanted to move the full R1m allowances, without the approval, and the bank came back and said that they’ve picked up that this client has moved X-amount of funds. Whether that’s the set case, and that is in place, the banks will pick it up then. I’m not sure how far they are in that process but I have picked up one transaction like that, where the bank said that they can see he has moved funds out. And you don’t want to say, ‘let’s try it and see, maybe they won’t pick it up,’ because they will tell you to bring it back and then pay the penalty. You don’t want to go that route and just say, ‘let’s do a coin transfer and see, maybe they’ll pick it up or maybe they won’t.’ I wouldn’t go that route. What happens if you then formally immigrate and once you’re on the other side? We have a lot of people working overseas, who haven’t formally emigrated. Formal emigration is saying, ‘you’re cutting your ties with us, SA. You’re leaving; you’re taking up permanent residency in another country.’ If that’s the case, you basically start the procedure of declaring all your assets and everything that you have is declared to SARS. You work through or you choose your relevant authorized dealer, and authorized dealers are typically banks. So, you would probably go to your relevant bank and they will start the procedure of your formal emigration. On formal emigration you will have foreign capital allowances of up to R20m per calendar year. After all your liabilities, including the cost of relevant passenger tickets has been paid for; you have that allowance per family unit. So, your allowance is a bit more when you formally emigrate. If you are a widow or a widower, or a single parent with an accompanying dependent, you are also regarded as a family unit. So, you will have that R20m allowance. If you are only a single person you will only have up to R10m per calendar year, after all your liabilities and costs have been paid. So, you will work through your authorized dealer. You submit quite a few documents to SARS to get that approval which states you are emigrating and that’s the basis of why you’re moving your funds out. Be it funds or your physical property so, it’s basically a coalition of all your assets reported to SARS. If you also, for example, have a living annuity here, and you’re still going to earn an income from that living annuity — that income that you want to now move to the country that you live in – all of that happens through the authorized dealer. So, if you’ve formally emigrated any further and going forward, transactions that you do to move funds out has to happen through that authorized dealer. For example, if you have formally emigrated and you’ve chosen Absa, for example, we can’t move funds for you in that case. You will have to work through your authorized dealer within your relevant allowances per year. Which destination or country in the world are you seeing South Africans mostly transfer their funds to? Are there any particular countries that stand out? Most of the transfers we do, if it’s for foreign investment purposes, it’s mostly buying Dollars but then it goes to a specific investment house. I have clients that moved temporarily to Australia; we have a few clients that have moved there that we transfer funds for. They have not gone through the formal emigration process so, they’re treated more as people being temporarily abroad. On that basis, you just fall in the regular R1m – R10m allowances, and it’s taken up on that basis. Yes, Australia is the country that I, personally, move a lot of funds to. I have one that’s British Pounds to England or UK but, yes, most of the clients that I’ve dealt with are predominantly transferring to an Australian currency and clients moving to Australia. Just on the topic of Forex transactions. What are some of the costs involved there? Sometimes you’ll get these adverts saying, ‘we’ll do your Forex transaction at no cost.’ I actually, just want to say that there’s no way that there’s no cost. There’s always an administration cost. There might be a way that they’re not adding a margin but the costs will be made up on the back-end where you pay administration costs. There’s a cost to physically do the payment of the funds out, basically like a transaction cost. With our transactions that we deal with, we work on the basis of adding a margin to the exchange. 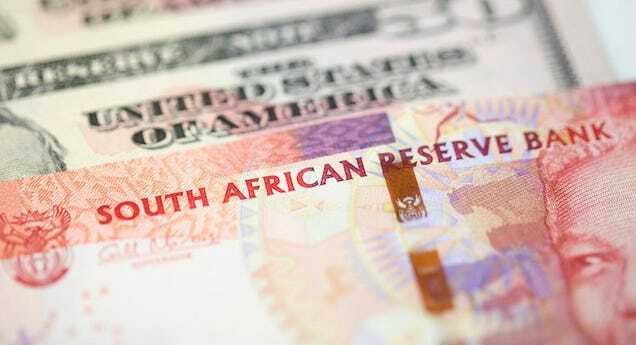 For example, if you look at the current USD – ZAR exchange rate, which is on about $13.49. When I talk about margin, it’s a few cents that is added to that live rate, which is usually in the region of 0.75% and up to 1% on that live rate. That’s the only costs on our side that you’ll have for your transaction. There’s no additional admin costs saying, ‘okay, after this transaction you also have to pay X-amount (in Rands) for the transactions.’ There’s no costs involved in moving the funds out. Within the exchange, the margin that is loaded on the live exchange rate: that’s where all the costs are for a foreign transaction. That’s about all the costs that you can look at, the admin costs, margins, and then bank charges to move funds out of SA so, the physical payment of the relevant currency to the relevant bank account. Just as a final question, for anybody who wants to look to transfer funds overseas. What kind of advice would you give them? Where should they, ideally, start and what kind of brief points should they consider before embarking on this journey?